Fredericks & Freiser in New York is hosting an exhibition “I’m Glad We Had This Conversation” by artist David Humphrey that will be on view through February 25, 2017. The exhibition presents new works by New York based artist David Humphrey (b. 1955), promoting the open-ended conversations amongst people and how they at times carry a sense that appears contradictory to the said words. The artist has been making paintings of conversations and using the idea of conversation as a method since the 1980s, featuring conversations between families, lovers, animal predators and pets, co-workers and all manner of social groups. By mixing images found in electronic or print media with imagined subjects, or by performing types of painting (like gestural abstraction or photo-projection) as self-collaboration, the artist sets up dialogs with others into his process. 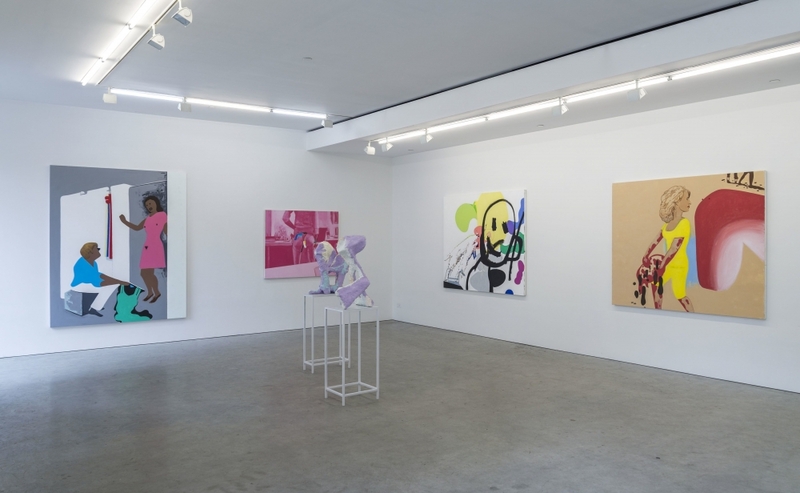 The works on view at the exhibition evokes conversations between abstract forms and a variety of human or animal protagonists, as locations strike up to have a conversation with the people, recognizable images chat with paint smears while looping gestures address spectators within his imageries. The exhibition is on view at Fredericks & Freiser, 536 West 24th Street, New York, NY 10011, USA.